I am not a film buff; I rarely go to cinemas. So don’t expect any critical review of the filmmaker’s craft. But I would urge you to go and experience it in a cinema hall surrounded by people immersed in its fast paced narrative. In a pre-release chat show with Vivek Agnihotri and some of the film’s cast, I knew I had been selected to participate in it because of my age. At 77, I have lived through all of free India’s prime ministerial reigns. However, a few hours after seeing the entire film, my thoughts are very different from what they were after the chat-show shoot. I sat quietly for a while, letting the catharsis triggered by the film run its course. You might say my emotions are to be expected in an old man who still vividly remembers Lal Bahadur Shastri’s tenure and his shocking death in Tashkent. The crowd that thronged the hall, was almost entirely a generation or two younger than mine. Mind you it was a Sunday, coinciding with Tamilians’ auspicious New Year Day! As I walked into Express Avenue at 8.30am, for the 9.15 show, the mall was deserted. But the cinema hall soon began to fill, reaching near full-house. About half were under 30. Strange, I thought for a film advertised as one about a Prime Minister who died over 50 years ago. It is advertised as a political thriller, with no glamour promised. Five young people were in the seats next to me. The film was grippin and held me locked to its narrative. About an hour into it, I glanced alongside. Two young girls were at the edges of their seats, leaning forward, their faces cupped in their palms and elbows on arm rests. One of the young men was slumped in his seat absorbed in the film. As the lights came on in the end, people rose slowly somewhat stunned and disoriented. They were very slow to leave the hall. These scenes should suffice as my review of the film. I can scarcely persuade you better than this, to go and see it in a theatre. But do let me go on. I was 22 when Shastriji died. In the 1960s every day was a slow news day. The news cycles ran from today’s newspaper headlines to tomorrow. Transistors were rare and you missed the hourly Akashvani News if you weren’t near a plugged-in radio. An Indian News Review would run before movies, but not many went to the cinemas. There were no weekly news magazines. So the mystery of Shastriji’s death ran a few weeks and slowly retreated. Watching this movie, from my perch in the 1960s as it were, I found myself seeing it in a larger context than I might have been able to imagine or articulate. Being old is not always an advantage. One has plenty of details and anecdotes but not always the whole big picture. Vivek Agnihotri is more than a generation younger than me, but his perceptive eyes and sharp political sense have been able to see the events of those days and extract their relevance for current times. The story plays out in three layers, discernible separately but seamlessly merged in a fine piece of story-telling. In one layer is the young lady journalist Raagini who is every bit modern and adept with contemporary tools, but troubled by what is unfair and true. It is a layer depicting young and new India, surrounded by comforts and yet, driven by fairness and desire to know the truth. The following layer is dramatically revealed. In it politician Tripathi, a cynical and opportunistic man, goes around identifying entities like him. They are journalists, lawyers, intellectuals, social activists and historians ready to compromise their calling for personal interests. The final layer is where the cold truth is sought to be left buried. Above it are forces which have no regard for this land, its people or its sovereignty, only their self-interest. In the same layer, but far away from them is their puppeteer and patron, the civil servant, ready to use and abuse power to suppress the truth. “It takes more courage to tell a lie than to tell the truth,” he says without a twitch. It is a role played suavely by Naseeruddin Shah. A foreign spy had written that following the death of Shastri, whole of India was for sale. Deep in the final layer Shastri lives on. There lie other facts too such as several inexplicable but related deaths and documents like the KGB’s Mitrokhin Archives that await to be put together to discover who were involved. It is this layer we have been discouraged from discovering. 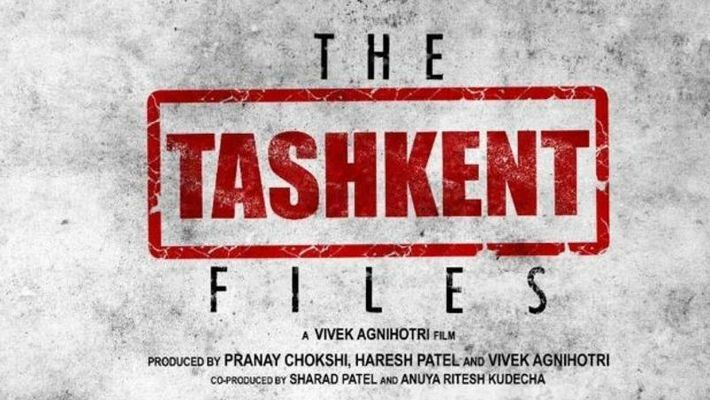 It is the one that Vivek Agnihotri shines light on. In one scene, Raagini, who I suspect is Agnihotri’s alter ego, spurns personal security offered to her by the state, saying she’d rather be free to pursue her right to truth. That is why the film matters to me and why it should to you too. You will realise the making of this film is a huge act of bravery rooted in a love for India. Had I the power, I would persuade everyone to go see it in a cinema hall, amid people. When you do that, now and then look around you. You will see the film’s message hovering palpably in the air and transferring to people. It is a powerful experience of hope to live by.